Alex Bugnon turns his head to jazz. His long-awaited, funky new release this time in a traditional Jazz Sextet format of piano, bass, drums and three horns, featuring Poogie Bell, Victor Bailey, Vincent Henry, Greg Boyer and Barry Danielian is entitled Going Home. 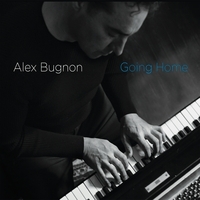 Alex Bugnon comments his new album: “I really liked that idea of doing a a ‘60s inspired record, with a Les McCann/Eddie Harris or Jazz Crusaders vibe , but I wanted to include a little more jazz than that, more towards a Herbie Hancock/Blue Note era Quintet or Sextet kind of vibe. You know, with two horns or three horns. That’s what I was going for. At first, I really wasn’t sure what to write. The first three months of 2009 found me home practicing every day, anywhere from 4 to 6 hours a day, which is something that I haven’t done since I was at Berklee. The rest of the time I was listening to Ahmad Jamal, especially the album The Awakening, one of my favorites. I was listening to Herbie’s whole Blue Note catalog, Les McCann, Miles piano players like Horace Silver, Wynton Kelly, Bill Evans and Miles Davis himself, Dave Brubeck – I realized that in the sixties, this music was the popular, commercial music of the time. Back then, this sound was really hip and underground…and very commercial, especially the music of Miles and certain tunes of Herbie. You don’t need synthesizers, drum machines and nursery rhymes. You don’t need all that to be marketable. Watermelon Man and Cantaloupe Island were huge hits. Guys were really playing on those records. So, you can see the concept for Going Home came from a lot of listening and practicing. Going Home is released at CDBaby. Considered one of the most interesting and stylish young guitarists on the jazz scene, Nate Najar has finally arrived as a legitimate Smooth Jazz solo artist. He has performed with traditional jazz artists like, Clark Terry, Ken Peplowski Ray Kennedy, and many others. A personal and professional achievement, Nate has also shared the stage numerous times with the Joe Byrd Trio, to pay tribute to the late Charlie Byrd, who has been one of the biggest influences on Nate’s style. Nate Najar performs regularly with a growing list of Smooth Jazz artists including Eric Darius, Jackiem Joyner, Brian Simpson and Marion Meadows, just to name a few. Musicians love Nate’s ability to take the lead as a soloist, and at the same time be a strong accompanist. In fall 2009, Nate debuted his first Smooth Jazz CD, Until Now. The new CD features a jazzy, yet classical version of the Michael Jackson classic, Human Nature. 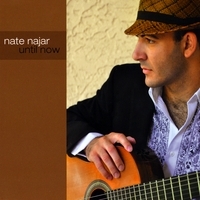 Until Now has a blend of Smooth Jazz cuts that mix the many styles that have shaped Nate Najar as a solo artist. Until Now is Nate’s fourth solo CD. Other recordings include, Live At the Side Door, Christmas with the Nate Najar Trio and The Nate Najar Trio – I’m All Smiles. Nate proudly plays Buscarino Guitars. For more information about Nate Najar or booking, visit www.natenajar.com. The album just arrived at CDBaby. Jeff Golub is offering his first holiday CD, Six String Santa, which he is releasing independently through his Metro Café Records. 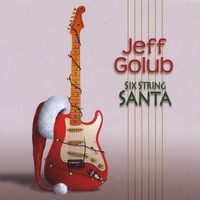 On the CD, Golub offers his own smooth and funky interpretations of holiday classics like Deck the Halls, Jingle Bells, Oh Christmas Tree and The First Noel. In addition, saxophonist Warren Hill is featured on We Wish You a Merry Christmas. 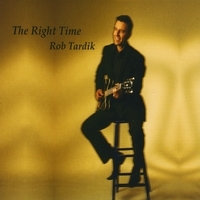 Six String Santa is now on sale at CDBaby. Cruisin’ brings you right into good mood. A bit syncopation is irritating the flow, but Rob showcases with his swaying solo that he is the announced master of guitar. 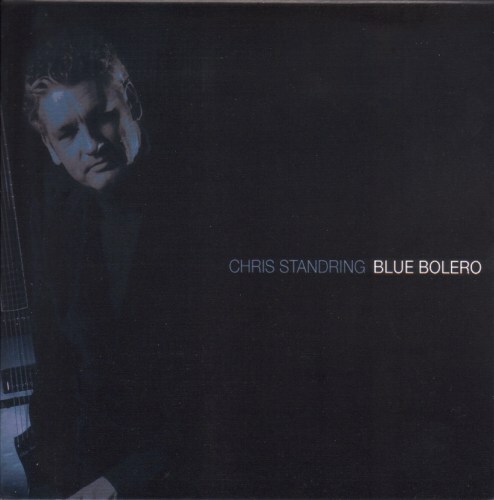 Chris Standring will release his forthcoming album Blue Bolero March 2nd 2010. Chris recorded this ambitious album with orchestral sounds. He wanted to take a major left turn musically on this album and as soon as he started messing around with orchestral samples, the drive to realize this project became much bigger than him. The entire album is extremely cinematic and represents, in a somewhat vague fashion, the journey he took as a musically driven youngster to the person he is today, still musically driven but just that little bit older. From his upbringing on a farm outside Aylesbury in England, making the move to London and finally the big move to Los Angeles, California, Blue Bolero is kind of the movie of his life so far. Chris Standring calls this album his masterpiece. Fans of Chris Standring can subscribe to his newsletter at his website and will receive a very exclusive offer! I met Eric Copeland, producer, arranger, songwriter, singer, keyboardist. I recently reviewed his album The Jazz In Me and Drew Davidsen’s new album Around (Again), which was produced by Eric. hbh: Eric, is that a complete description of your professional work? EC: Yes, I wear many hats (laughs). Actually this all started with songwriting, which led to being an artist and then making recordings of my music. Then when folks found out I did that kind of thing, they began to have me do arranging and production for them as far back as high school. hbh: I visited your website Creative Soul Online on which you offer artists across the nation and the world the opportunity for true artist development and full studio production in Nashville, TN using the top players and producers in Christian music today, and the opportunity to associate with a strong independent Christian label that is helping artists reach a national and international audience. How do I have to understand that offer of music consulting? EC: Yes exactly. I have always felt that the best way for artists to truly grow is to go through the consulting and development process. In the old days, to learn any craft, you used to have to sit at the feet of a master and be an apprentice, sometimes for years. I think you truly learn best when you work with those who are more experienced that you are. The musicians, engineers, and producers here in Nashville have been working with the best in Christian music for 20+ years, and have so much experience, wisdom, and mastery of craft to learn from. Then, we take the artist into a phase of identity development, crafting an image and design that gives them a totally new look and feel. Add these amazing processes together and you have a completely new professional musical and graphic identity. 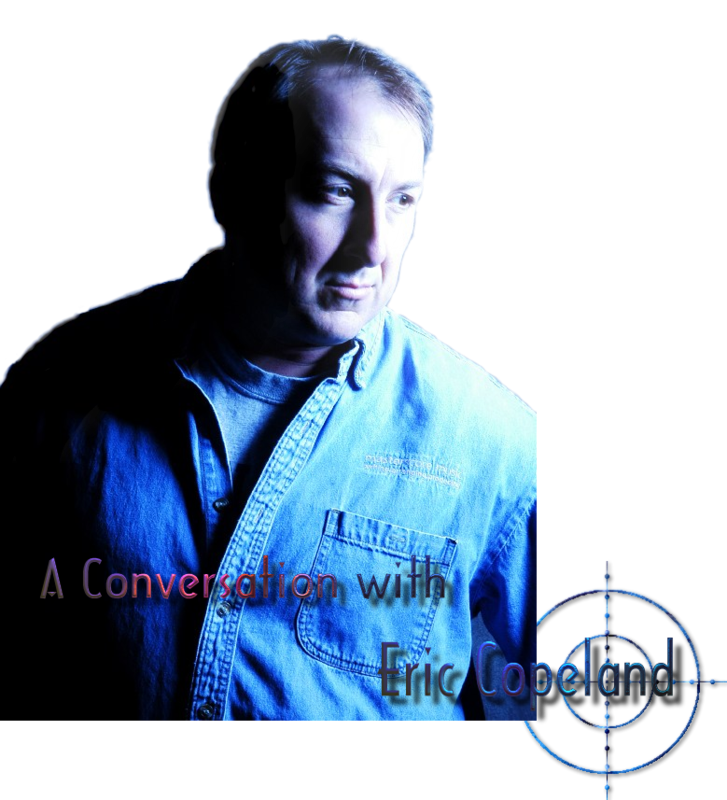 This helps immensely whether you’re selling CDs out of your trunk, or to a worldwide audience. 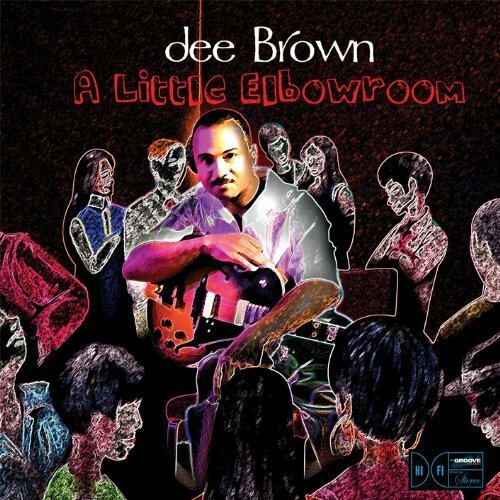 After years of absorbing his father’s love and knowledge of jazz, Demitris Brown better known as dee, re-paid George (Sonny) Brown one more time with the new release of the CD titled A Little Elbowroom. The elder Brown passed away May 2, 2009, and dee’s new recording pays tribute to the man who was responsible for his emergence into the music theatre. While growing up in Detroit MI, Brown, the youngest of three children, was exposed to the recordings of his father’s favorite artists: Miles Davis, Thelonius Monk, Charles Mingus, Les McCann, Cannonball Adderly, West Montgomery, Charles Christian and George Benson. Known to most as Sonny, dee’s father would enlighten his son of how significant these legendary musicians were in the scope of jazz history. Also appearing on A Little Elbowroom are saxophonists Dezie McCullers Jr., Darren Rahn, Trumpeter Frank McCullers, producer, writer Valdez Brantley, Chip Dixson, Nate Harasim, bassist Dave Henderson, Kern Brantley, vocalists Gerard Brooks and Dee D’mitri. Brown is seen as one of the most promising new artist to come!